Dodman, K., Najaf Zadeh, M. (2014). Examining the Relationship Between Perceived Organizational Justice and Dimensions of Organizational Commitment. 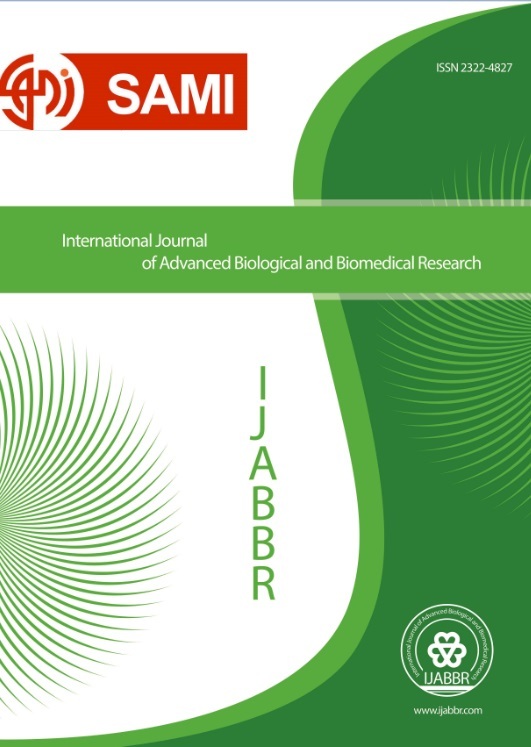 International Journal of Advanced Biological and Biomedical Research, 2(7), 2319-2326. Khaled Dodman; Mohammad Rahim Najaf Zadeh. "Examining the Relationship Between Perceived Organizational Justice and Dimensions of Organizational Commitment". International Journal of Advanced Biological and Biomedical Research, 2, 7, 2014, 2319-2326. Dodman, K., Najaf Zadeh, M. (2014). 'Examining the Relationship Between Perceived Organizational Justice and Dimensions of Organizational Commitment', International Journal of Advanced Biological and Biomedical Research, 2(7), pp. 2319-2326. Dodman, K., Najaf Zadeh, M. Examining the Relationship Between Perceived Organizational Justice and Dimensions of Organizational Commitment. International Journal of Advanced Biological and Biomedical Research, 2014; 2(7): 2319-2326. Objective: The purpose of this study is to evaluate the relationship between perceived organizational justice and organizational commitment of physical education teachers in West Azerbaijan province. Methods: Research method is descriptive-correlation conducted using the field method. Statistical population includes physical education teachers in West Azerbaijan which are 1091 persons. The sample number according to Morgan table is calculated as 285 persons. Stratified random sampling method is used. Data collection tool is perceived organizational justice questionnaire and organizational commitment questionnaire. The perceived organizational justice questionnaire by Niehoff and Moorman contains 22 close-end questions. To measure organizational commitment, Meyer and Allen model containing 24 questions is used. Reliability coefficient of the perceived organizational justice and work ethics questionnaires through Cronbach's alpha is respectively, 0.834 and 0.896. Results: The results showed that there is a significant relationship between dimensions of organizational justice (including distributive justice, procedural justice, interactive justice and interpersonal justice) except for distributive justice, and organizational commitment at level of P≤0.05, based on the F coefficient respectively with participation rates of 20%, 15% and 0.7%. Among the demographic variables (gender, marital status, employment history, education level), the level of education affected relationship between perceived organizational justice and organizational commitment and there was no significant difference between the elements of justice (distributive, procedural and interactive and interpersonal) in terms of gender, work experience, education, type of employment and working field.